Stand out from the crowd and makes your event unique, memorable and full of WOW factor. Our expert mixologists will share tricks of the trade, from muddling and mixing to shaking and stirring. Learn more about the culture of cocktails, the history, the ingredients and why certain equipment is needed to make the perfect cocktail. Plus, the best bit is tasting them too! These can be great for breaking the ice at corporate functions and events, and are ideal for team building exercises. The cocktail masterclass will definitely add fun to any type of function. We will travel and set up our mobile bars anywhere—whether that’s in the middle of a field or in your offices. 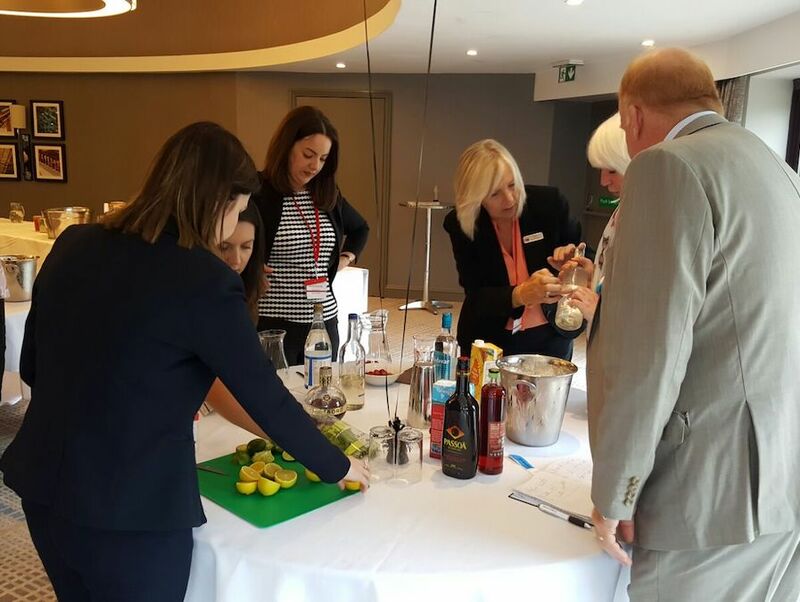 Numbers are not limited—we have delivered cocktail masterclasses for 600 people in the past! If you’re looking to get your team more comfortable working together, it’s not facts about the person next to them they need to learn about. You need something that will get them going, something that will make them laugh. Our cocktail mixing classes gets everyone involved and enjoying the lighthearted atmosphere. Our expert mixologists share all the tricks of the trade, from muddling and mixing to shaking and stirring! With the assistance of a glass in their hand, everyone will be more confident, and you may notice Jane from sales and Chris from packaging finally get on after weeks of uncomfortable silences. At Mix & Twist, we believe that ice is for drinks. If you’d like ways to tailor these classes to your business, we can also help with setting up scenarios where in teams, employees create sales and marketing pitches around their unique cocktail ideas. The best bit will be tasting their creations! We can work with you to understand your business, and what you need from an event like this. Our mobile bars can be set up anywhere, whether you’re a ground floor office or you’d prefer to take the event elsewhere. If you’re interested in our cocktail mixing and team building classes, get in touch with Mix & Twist today! We serve a lot of cocktails for team building events and we asked our bartenders what their favourite team building cocktail is that guests love the most. 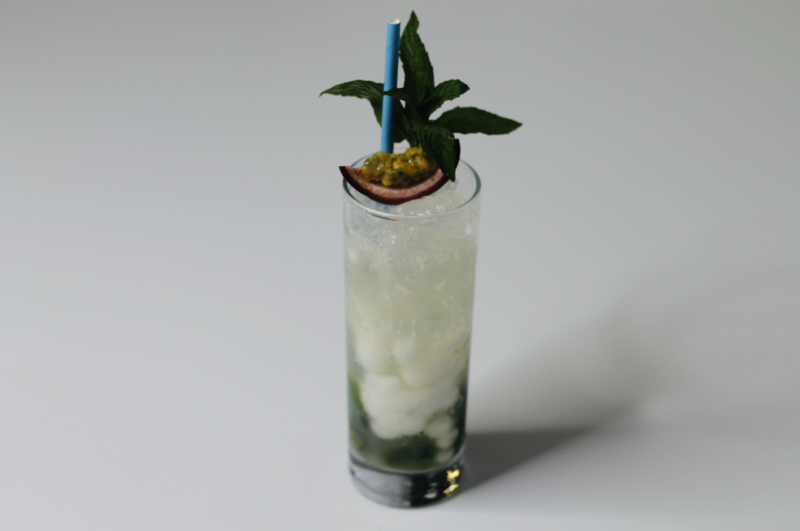 Introducing the Passion Fruit Mojito.